Top Ten Tuesday is a meme hosted by The Broke and the Bookish. I'm excited to participate; after all, I make lists FOR EVERYTHING! This week's topic focuses on dynamic duos in literature, such as best friends, partners in crime and powerful couples. 1. Jay and Violet from The Body Finder by Kimberly Derting- Jay is an extremely swoon worthy guy and Violet is one of my favorite protagonists. The combination of the two makes for an incredible pairing. 2. 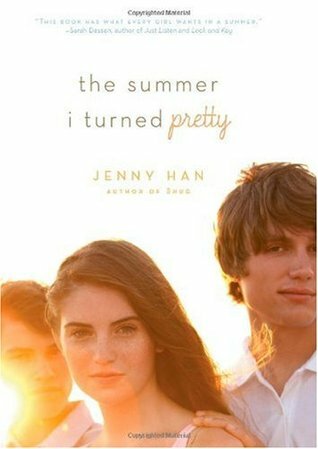 Belly, Jeremiah and Conrad from The Summer I Turned Pretty by Jenny Han- If you know me, you know I'm obsessed with this series. These three characters obviously aren't a duo, but how could I not include them? 3. Dimitri and Rose from The Vampire Academy series by Richelle Mead- I adore these two and their roller coaster relationship. I miss this series already. In my eyes, they are the very definition of a powerful couple. 4. Harry and Ron from the Harry Potter series by J.K. Rowling- Love these two B.F.Fs! 5. Anne and Diana from the Anne of Green Gables series by L.M. Montgomery- Anne and Diana are picture perfect best friends. 6. Scout, Dill and Jem from To Kill A Mockingbird by Harper Lee- I know, I know. There are three characters here, but how could I leave one to leave out? All three are important and memorable, especially Scout. 7. Clary and Jace from The Mortal Instruments series by Cassandra Clare- Oh. Man. I love these two. I can't wait for the next book in the series. 8. Tom Sawyer and Huck Finn from The Adventures of Tom Sawyer by Mark Twain- Tom and Huck have such an exciting and hilarious friendship. 9. Macy and Wes from The Truth About Forever by Sarah Dessen- This is one of my favorite books and one of my favorite pairings in young adult literature. 10. Sherlock Holmes and Watson from The Adventures of Sherlock Holmes by Sir Arthur Conan Doyle- These two have a crazy bromance. So which characters made your list? Any dynamic duos that I forgot about? Let me know what you think. You have a lovely list. I especially like Anne Shirley and her friend. YAY for Belly, Conrad and Jeremiah! I love them so much! I just finished that series and it was pretty much amazing! 3 cheers for Harry & Ron! yay for jay and violet!! i'm reading a young sherlock holmes book now, it's very cute, but watson isn't in it. Oh, Jay & Violet! And Macy & Wes! Love them! Great list! I forgot about Jay and Violet! And I'm even reading Desires of the Dead right now! Great list! 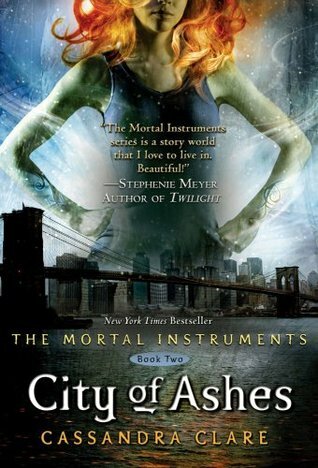 Yeah for Clary and Jace! I adore them:) And of course Violet and Jay as well, I don't think I'll tire of reading about them either:) Nice list Christina! Great list! (I'm a fan of lists too.... ^_^) Totally agree with Harry and Ron, how can you not? Plus the inclusion of Tom Sawyer and Huck Finn, yeah...definitely a dynamic (trrouble making) duo. Great share...happy reading! Oh my goodness I forgot Anne and her bosom friend Diana. Now that is a duo! Ooh, you listed great couples/friends! I loved Macy/Wes too. I love your list! Great post. What a fabulous list. Definite Yay for Harry and Ron and Jace and Clary. Have yet to still read The Body Finder which has been sitting on my shelf for some time now. I have heard all sorts of fabulous things about Violet and Jay. Great choices, pls stop and see mine. Holmes/Watson for the win. They are on my list too. I love Sarah Dessen! Macy and Wes was such a good choice! Great list! To Kill a Mockingbird is one of my favorites!